It's now official, HMD global has just unveiled the Nokia 3.1 plus. This is an upgraded version of the Nokia 3.1 with a larger display, faster processor, larger battery and a dual rear camera setup. 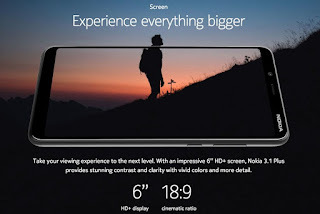 The device sports a pretty massive 6.0-inch IPS HD+ display with 18:9 aspect ratio and a resolution at 720 x 1,440 pixel. It runs on Google's Android One Oreo experience out of the box with Android pie expected to roll out in the future. The Nokia 3.1 Plus is powered by a battery efficient Helio P22 chipset with an Octa-core cortex ARE processor. This is much faster than the Mediatek MT6570 on the Nokia 3.1. The Nokia 3.1 plus also comes in two memory variants, you can either get it with the 2GB RAM and 16GB internal storage or 3GB RAM and 32GB internal storage. Both of which can be expanded via the sdcard slot. In terms of camera, the phone comes with dual rear camera setup with a primary 13 MP sensor with Phase Detection Auto Focus shooter and a secondary 5MP depth sensor with Bokeh effects for your portrait shots. The selfie cam is an 8MP sensor with a wide-angle lens. The Nokia 3.1 plus packs a 3500mAh battery which is a lot more bigger than the 2990mAh on the Nokia 3.1. It also has a rear mounted fingerprint scanner which is positioned just below the dual rear cameras. The device is expected to go on sale on October 19 at a starting price of INR 11,500 ($155/€135) which is around N56,000. 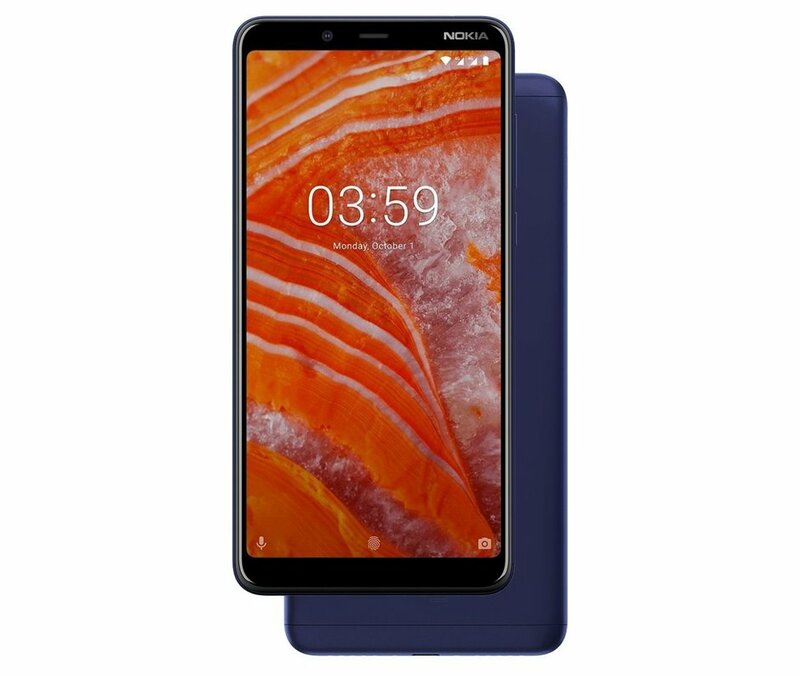 You can check out the full specifications and price of the Nokia 3.1 plus below. Sensors Ambient light sensor, Proximity sensor, Accelerometer (G-sensor), E-compass, Gyroscope, Fingerprint sensor.